Walking round to the east end of the Cathedral, you pass through the former Monk's cemetary. 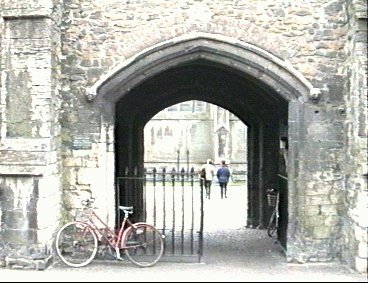 The path leads to the SACRIST'S GATE (14) or tradesman's entrance and GOLDSMITHS TOWER (15). These medieval buildings formed the Sacristy built in 1325.